GF Ontario Blog: 16,000 Fans and GlutenTox Giveaway! Haven't you ever wished there was a way to ensure your food is really gluten-free? 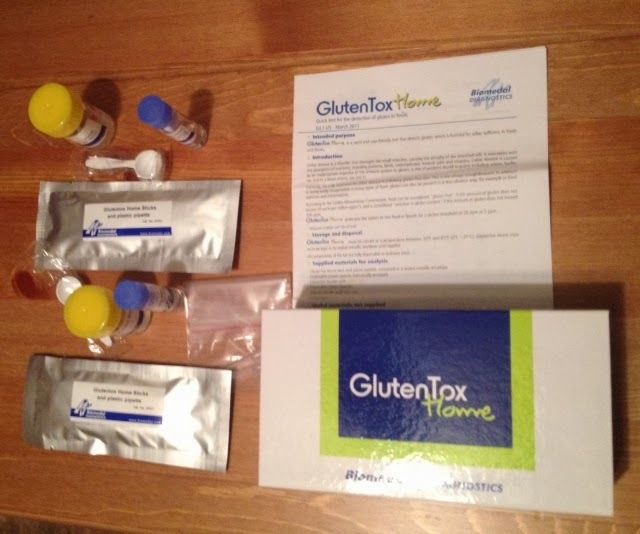 Well, GlutenTox has a kit you can use right in the comfort of your own home to test for traces of gluten!! The test can detect 5 ppm (parts per million) or 20 ppm. 20 ppm is deemed the "safe" level for those with Celiac Disease. Currently, there is no test that can tell you whether a product contains 0 ppm. I was lucky enough to receive a kit containing two tests to experiment with. Oh, the endless choices of what to test for gluten! The first kit I used to test a batch of gluten-free flour I picked up at Bulk Barn from a bulk bin. Please note, I do not ever use flour from bulk bins. I just don't have enough trust in other people to use the right scoops. The Bulk Barn location I go to has rye flour directly next to the gluten-free bins. The blue line below is the "control" line to show that the test is working properly. If it was positive for gluten, there would be a pink line beside it. I had totally expected the test result to show up positive for gluten but it says negative. Who knows what goes on in those bulk bins when you're not looking, especially when there's so much room for error. This test result is not an endorsement for gluten-free flour from a bulk bin. 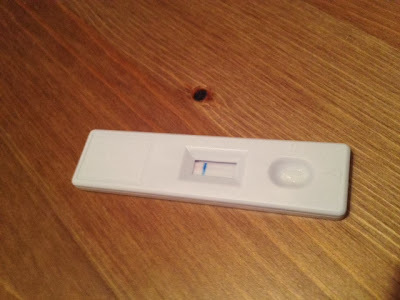 Up next, I couldn't decide what to use the second test kit for. 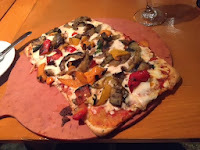 That is, until I visited La Veranda Osteria at Royal York and Bloor in Toronto. I ordered the pizza. It certainly looked and tasted yummy (doesn't it look good?!) but I did not feel well later that evening. Perfect opportunity to use the test kit! 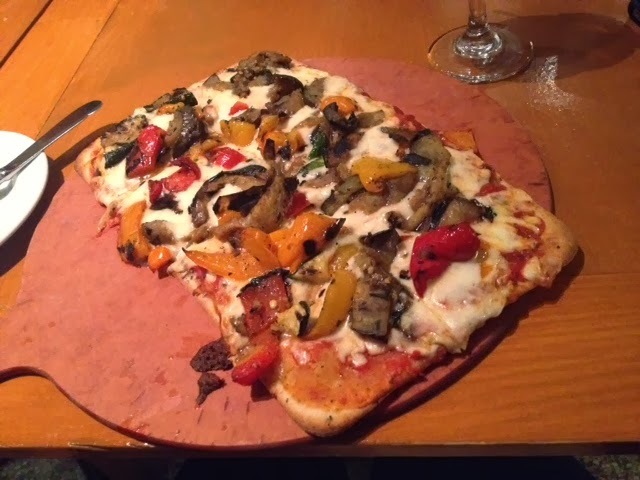 Was that pizza really gluten-free?! I mashed up a small bit of the crust and proceeded to follow the instructions. And lo and behold, positive for gluten!! (As indicated by the pink line.) While I know the crust was made from gluten-free ingredients, I am assuming they have unsafe procedures for preparing the pizza. I will be talking with the owners about this in the future. Wouldn't you like the chance to test your own food for traces of gluten?! This test gives me peace of mind that I am consuming safe foods. Enter below to win one of two 2-pack GlutenTox test kits! 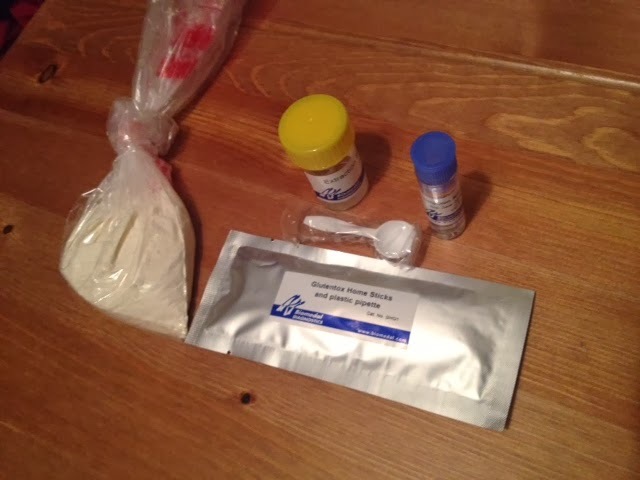 The kits containing 2 tests normally retail for $29.95, plus shipping and HST. I would test the ongoing Christmas baking, as GF and non-GF is being done. I'd like to ensure there is no contamination, even though all has be done on seperate days etc.